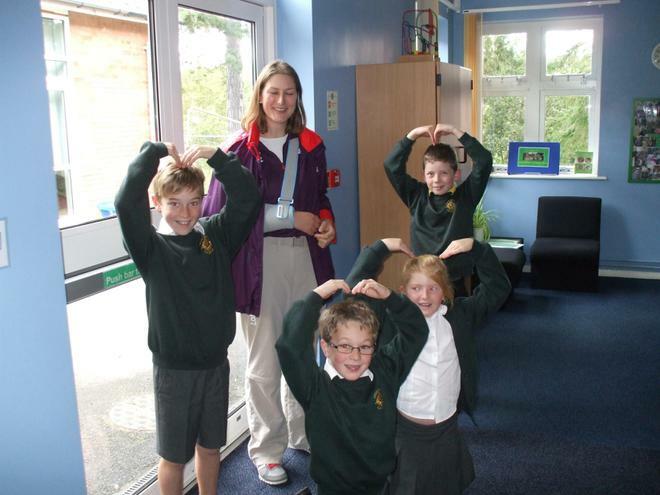 On Tuesday 25th September, Judith Howell came into school to lead an assembly on her experience of volunteering at the Olympic and Paralympic Games in London. Judith is a past-pupil of Great Witley CE Primary School, so was thrilled to have a tour of the school and to meet current pupils. The children enjoyed listening to Judith's presentation and seeing some of her photographs of the Olympic Park and the athletes she met. The children were fascinated to hear that she had to weigh the rowing boats as part of her role!